Elves are an essential part of any holiday celebration. 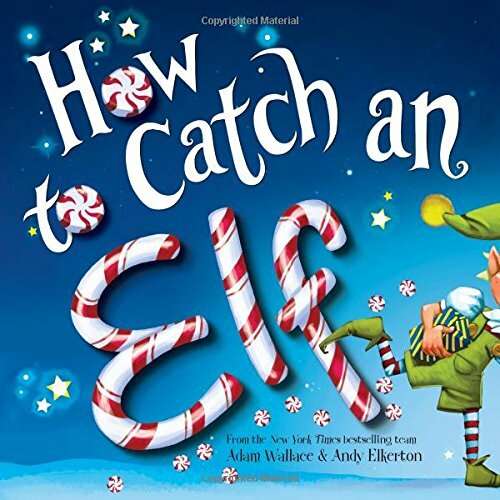 With the popularity of Elf on the Shelf, a lot of young kids have a renewed interest in all things elves. 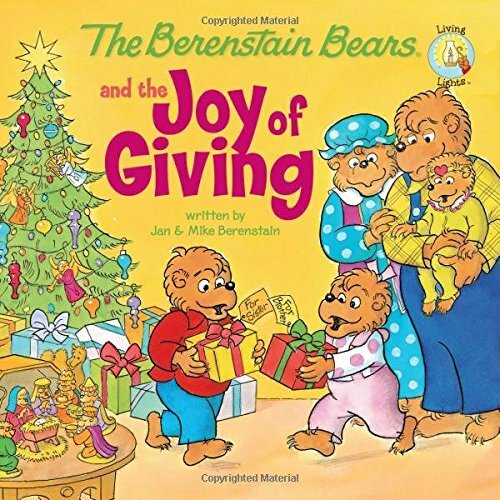 Without these little characters, how would Santa make his toys? 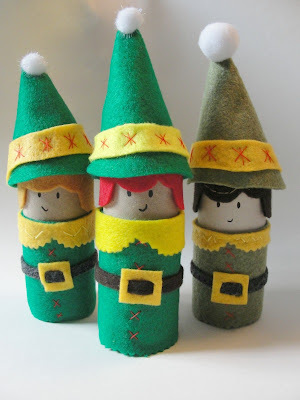 Young kids will love making and playing with these felt elf finger puppets. Today I have some Elf Christmas Crafts for you! Some of these are easier than others… and, some will require some help from adults, especially if using a glue gun! BUT, nonetheless, cute elves are easy and fun to make (and they look adorable). 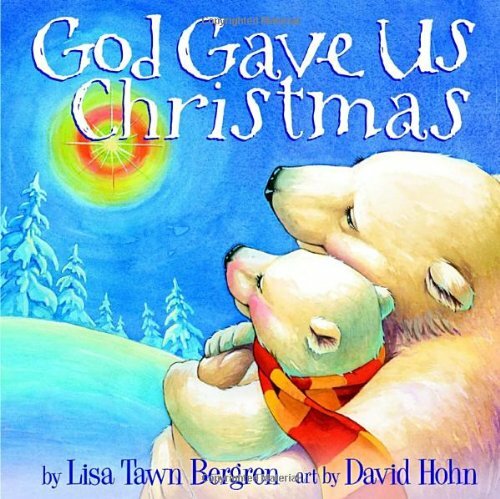 Before we begin, though, I always like to recommend a book or two that you can read before beginning your craft with your little one. Here are a few of our favorite books about elves! Follow the simple directions below to make simple elf puppets that kids will love playing with throughout the holiday season. Kids will love putting this fun and useful craft together along with adult supervision. Cut out all of the pieces in the picture above. You will need two body pieces, one head piece, two arm pieces, two hand pieces, and one triangle hat piece per elf. You will also need two shirt stripes and six arm stripes 1/4 of an inch wide from a contrasting color. Make the body pieces a little larger than the width of your index finger. This will ensure kids of all sizes can play with the elves. 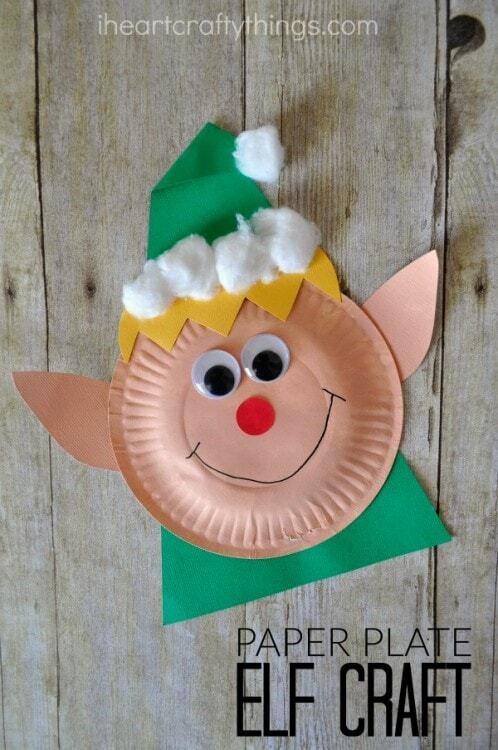 For this craft, you can have your little preschool or kindergarten student help cut out all the pieces to the elf. You will then need to help with attaching the pieces because you need a hot glue gun. Use hot glue to attach all pieces of the elves. 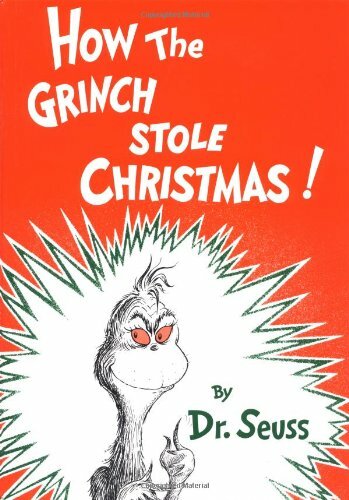 Give each elf a hat with a white pom, two arms, two hands, a head, and a striped design on the elf’s shirt. 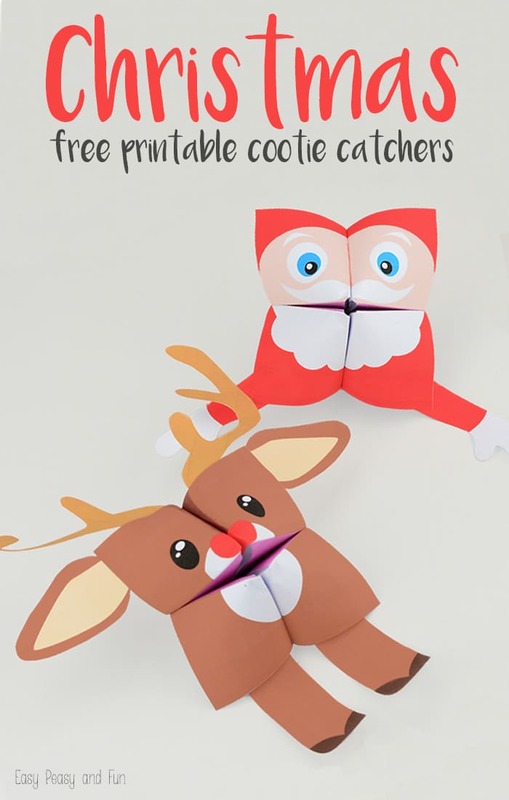 You could make this out of construction paper too -then you could just use regular Elmer’s glue… BUT, you will have to be patient to wait for things to try before you use your Elf Finger puppet. You could also make this a Hand puppet -just make it on a little bit larger scale so that it fits a hand! Glue the edges of each body piece together around three sides, making a little pocket for the child’s finger. Draw a happy face onto each elf with a marker. Add eyelashes for girl elves and eyebrows for boy elves. 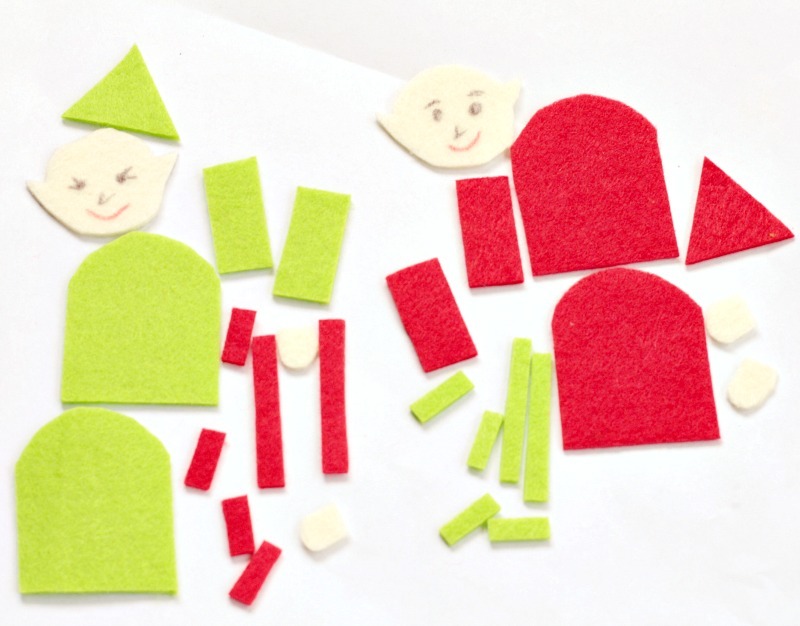 If you have additional felt colors, try making an entire workshop of differently-colored elves. 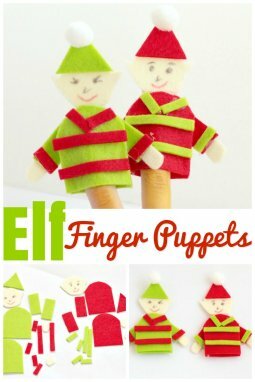 Use the elf finger puppets as toys, in dramatic play, while telling Christmas stories, and just for fun! You could even attach a ribbon to the back of the elves and hang them from the Christmas tree.